DIN Standards are invented for a variety of components including industrial fasteners as DIN 661 Countersunk Head Rivets. DIN 661 Rivets are manufactured from Carbon Steel, Stainless Steel Grade A2 or A4, Brass, Alloy Steel, Copper, Aluminium or many other materials. DIN 661 Rivets are available in a wide range of sizes, shapes and materials. DIN 661 Rivets consist of a Round Rod and a Countersunk Head. They are made at angle of 75°. 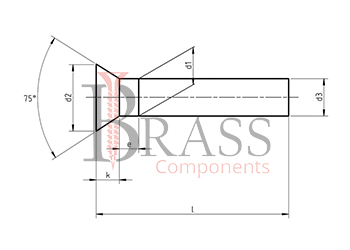 The closing head of DIN 661 Rivet is made of semi-circular or countersunk shape. Complies with GOST 10300-80 and ISO 1051. Made by Stamping out of ferrous and non-ferrous metals. Convenient to use such rivets in a situation where it is necessary to ensure unimpeded rotation or free translational movement of the part relative to the base. For permanent jointing of sheet metal by double sided riveting. For a strong and permanent joint of metal, parts and structural elements. 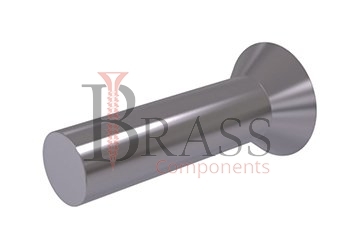 We manufacture DIN 661 Rivets as per Custom Specification and export in Finland, Jersey, Spain, Switzerland, Ukraine, Austria and other European Countries. For more Information, Please Contact Us or Inquiry Now.